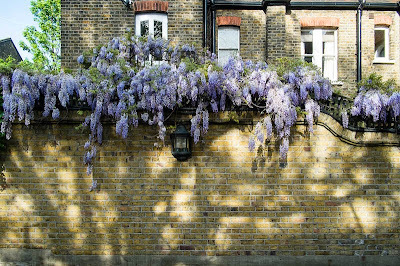 The wisteria tumbling over the brick wall makes such a pretty sight. A nice contrast with the yellowish brick work! I love it! I do love the color lavender so these blooms really appeal to me. It is lovely and so are the shadows! I can nearly "smell" it all the way over to Norway where I am living.